These eight inch square coaster murals are perfect for the sailor or lover of the coast in your life! 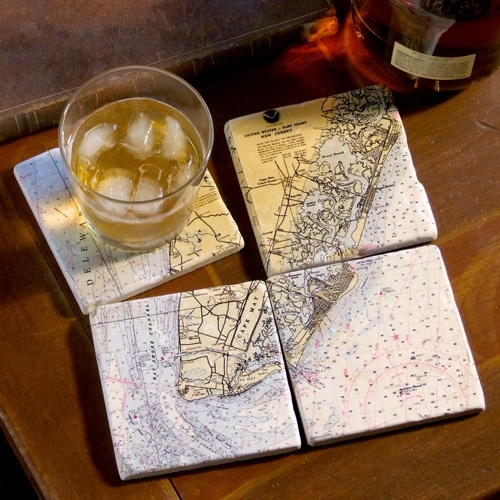 The nautical chart of your choice is printed across the 4 coasters for a stunning and unique mural effect. With depth information and the outlines of hidden sandbars, nautical charts reveal safe passage to sailors. To the casual viewer, they evoke seaside memories and dreams of open water. Select your map from the options box. We feature the top 100, or if you don't see your map, type it in the comments box at checkout. 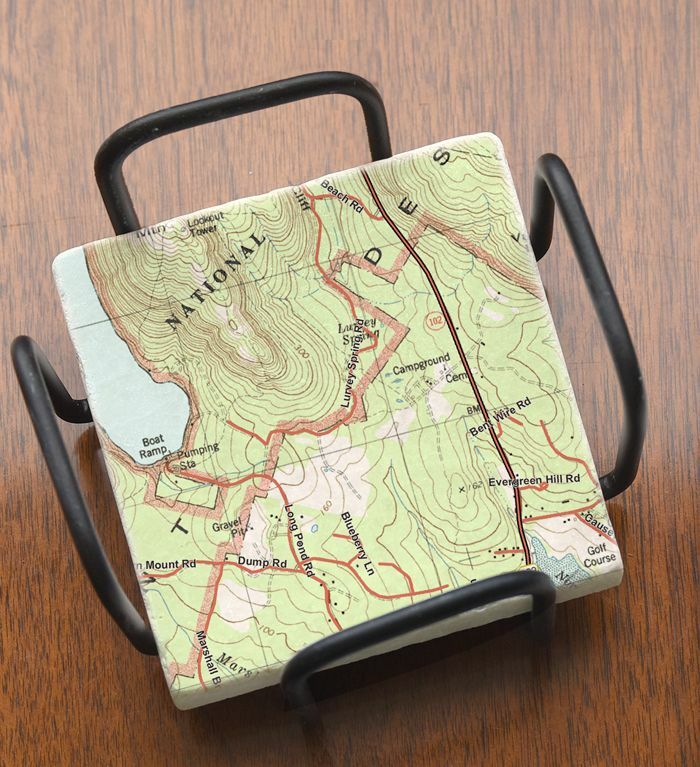 The artisans in New England will create a cork-backed, four-tile marble coaster set that reproduces a local chart. The coasters are made from imported marble - carved from large marble blocks, no two tiles will ever be alike. Variations in coloring, small fissures and tumbling all add to the beauty of this natural stone. Please note: Personalized items cannot be returned unless damaged or defective. Please check your order carefully; once placed, your order for this item cannot be canceled. Not available for shipment outside of the U.S.